Hello crafty ladies! 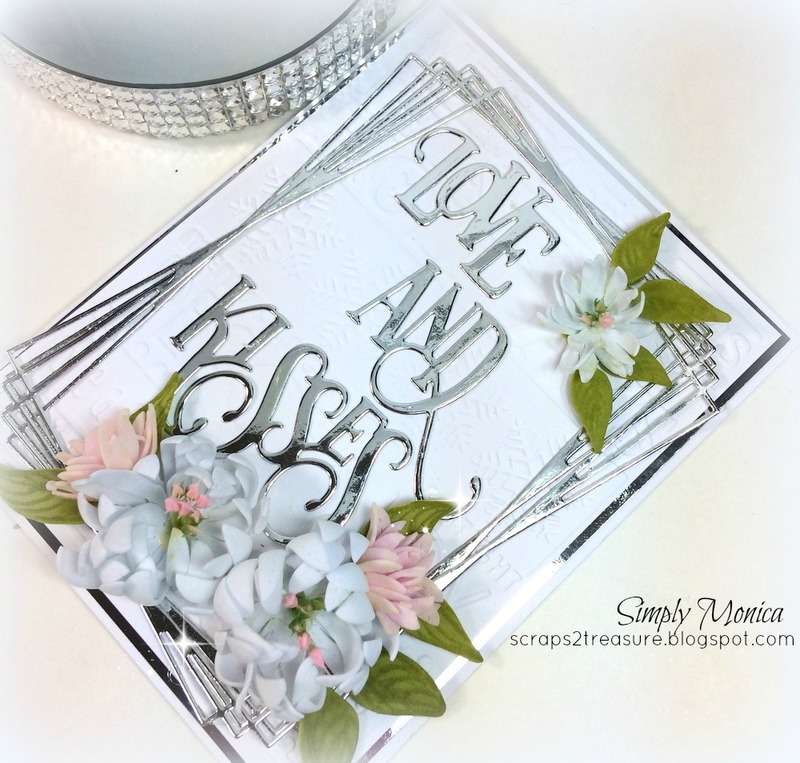 So nice to see you stop by my blog today and I hope I am inspiring everyone to explore their crafty side to the fullest. 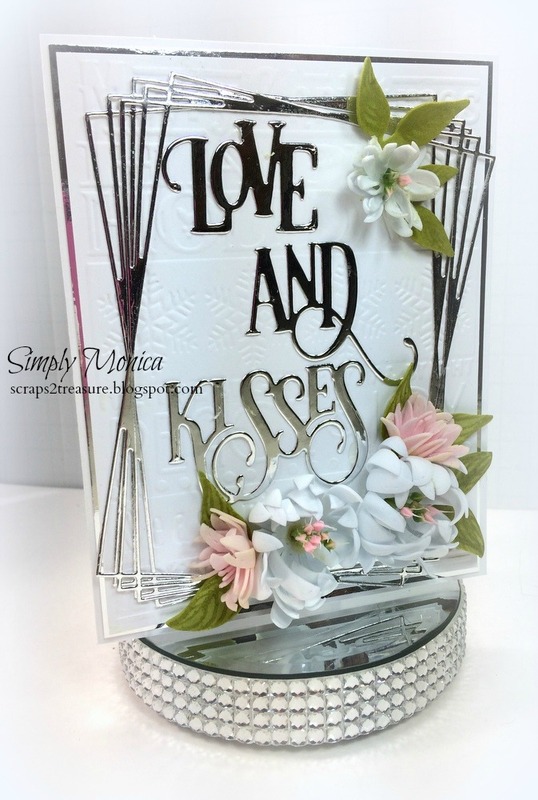 Today I am sharing a card I designed for Frantic Stamper using dies from there November release which is “A Life of Love and Music” and who doesn’t love that right?!! Which right now is perfect for me because I think I have a black cloud following me around or something. First, my car blows up on me hmmm… guess I should have checked the coolant, then my camera breaks and now I think my back is going to blow!! So, the sound of love and music is just what I need right about now in my life., but enough of me whining. 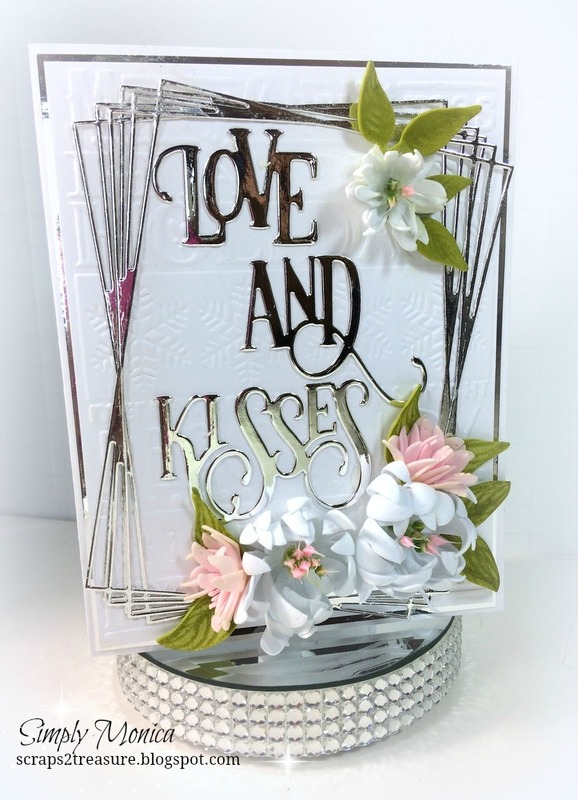 I made this card to be bright, fun and yet elegant using Love and Kisses , Stitched Blooms along with these Tangled Frames. The flowers are made out of Foamiran which yes I have become obsessed with making these days. I diecut them using the Stitched Blooms and cut each petal in half. Then when applied to heat they all curled up as seen above and then I added some stamens to the flower centers using floral adhesive with a touch of a glue gun. Be careful when using your hot glue gun because it can melt the foamiran, but you can also mold into shape as well when it heats up again. So, it is a good and not so good thing to do. For the card base I used cardstock from CutCardStock and then embossed it with one of my Christmas cuttlebug dies don’t ask me why I used a Christmas die. I am still asking myself that, but it didn’t take away from the card so it’s all good… You can see I used silver foil paper for the diecut pieces. I really love the look on white cardstock just so elegant to me. 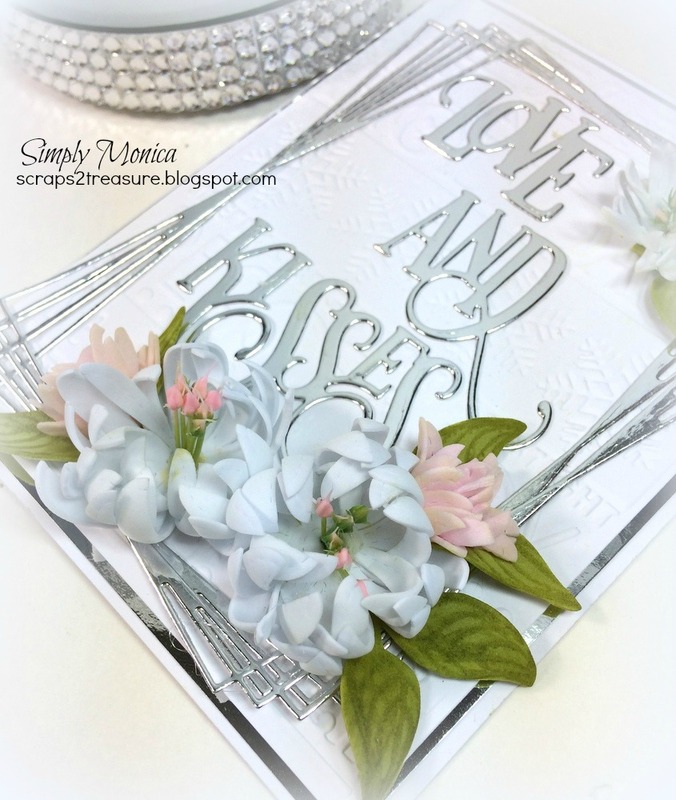 So, I hope I have inspired you to maybe makes some foamiran flowers using dies from Frantic Stamper and like what you see! !